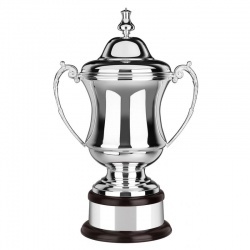 This collection of premium silver plated trophies includes some with intricate hand chased finishes, and many with solid mahogany plinths. 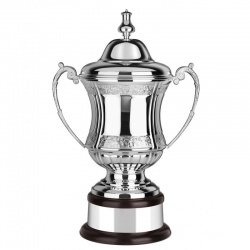 All these prime silver trophies are handmade in Britain and carry a lifetime warranty. 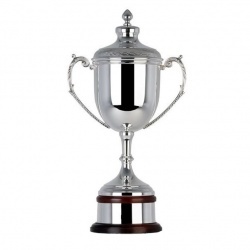 They are suitable to recognise and reward achievement at the highest levels, including as professional silver trophies. 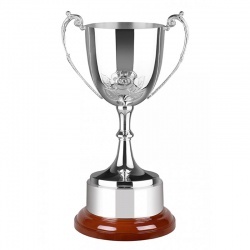 These prestige awards are among the best trophies available in the UK and are supplied complete with lids and plinthbands (where indicated). 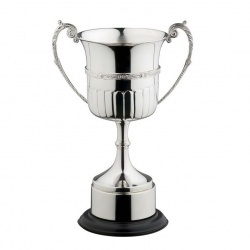 Large Silver Trophy with Gold Detail, Lid Included. 780mm / 31in tall. 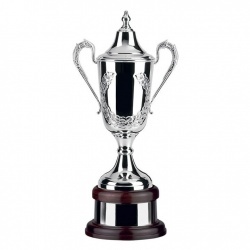 Large Trophy with Lid and Gold Plated Detail. 17in tall. Handchased with lid, mahogany base and plinthband. 15.75in tall. 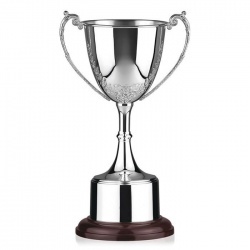 Trophy with Thistle Design, on Wood Base with Plinthband. 11.5in tall. 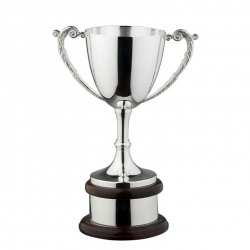 Handchased Trophy on Round Wood Base with Plinthband. 12in tall. Complete with lid, mahogany base and plinthband. 12in tall. 17in Trophy on Solid Mahogany Plinth Complete with Plinthband. Silver Outside, Gold Inside, on Wood Base with Plinthband. 13in tall. 14in Handchased Trophy on Circular Wood Base with Plinthband. 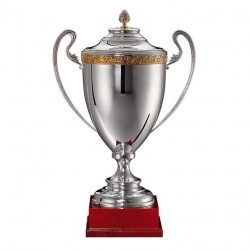 Tall Silver Trophy with Gold Detail, Lid Included. 27.5in tall. 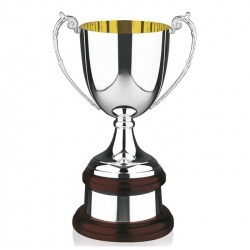 Trophy with Thistle Design, on Wood Base with Plinthband. 14in tall. Silver Outside, Gold Inside, on Wood Base with Plinthband. 10in tall. Handmade Trophy Complete with Lids and Plinthbands. 15in tall. 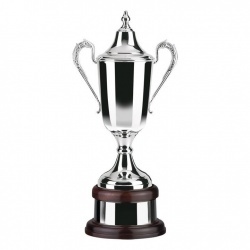 Large Trophy with Lid and Gold Plated Detail. 22in tall. 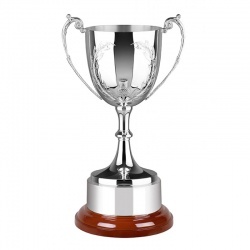 Handchased Trophy Complete with Lids & Plinthbands. 15in tall. 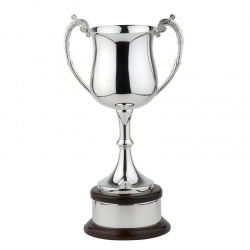 Handchased Trophy on Round Wood Base with Plinthband. 14in tall. 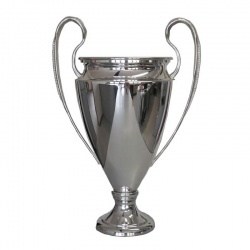 Large Silver Trophy with Gold Detail, Lid Included. 830mm / 33in tall. Handchased with lid, mahogany base and plinthband. 18.5in tall. Complete with lid, mahogany base and plinthband. 18.5in tall. 10.5in Cup with Swirl Fluted Decoration, on Wood Base. 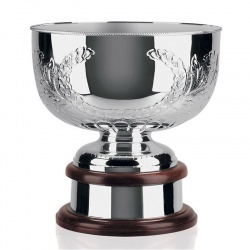 12.5in Trophy with Fluted Body on Circular Black Base with Plinthband. Scalloped wavy edge rim, rosewood base, plinthband. 10in tall. 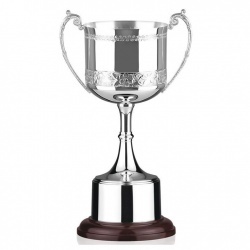 Silver trophy cup with lid, handchased decoration and two plinths. 17in tall. Handmade Trophy Complete with Lids and Plinthbands. 21.5in tall. Handchased Rose Design. Round Wood Base with Plinthband. 3 Sizes. 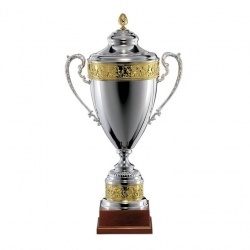 Large Trophy with Lid and Gold Plated Detail. 24in tall. Handchased with lid, mahogany base and plinthband. 12in tall. 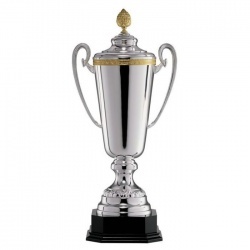 Tall Silver Trophy with Gold Detail, Lid Included. 32.5in tall. 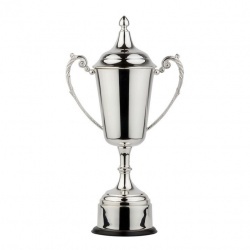 Silver trophy cup with lid, handchased decoration and single plinth. 14in tall. Complete with lid, mahogany base and plinthband. 15.75in tall. Silver Outside, Gold Inside, on Wood Base with Plinthband. 9.5in tall. 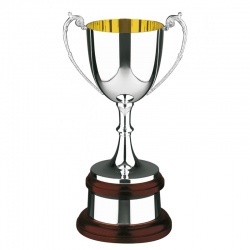 12.25in Trophy, Gold Inside, on Wood Base with Plinthband. 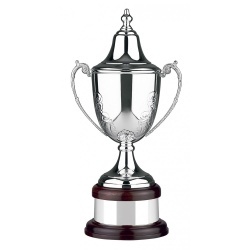 Handchased Trophy Complete with Lids & Plinthbands. 17.5in tall. Handmade Trophy Complete with Lids and Plinthbands. 17.5in tall. 17in Trophy on Circular Bakelite Base Complete with Lid & Plinthband. 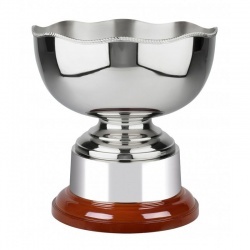 Handchased silver trophy complete with lid and plinthband. 3 sizes. Silver Outside, Gold Inside, on Wood Base with Plinthband. 12.75in tall. 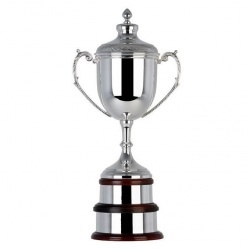 Handchased Trophy Complete with Lids & Plinthbands. 21.5in tall. 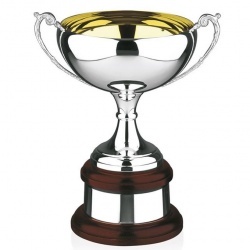 Handchased Trophy on Round Wood Base with Plinthband. 16.5in tall.